Well, it's been an age since I shared my work with you. I had promised to start blogging my sessions more often, especially as I have such beautiful children in my Nottinghamshire studio. Alas, that will have to wait for another post. On this occasion, I have something entirely different from my Newborn speciality. Last weekend I attended The Master Photography Awards. 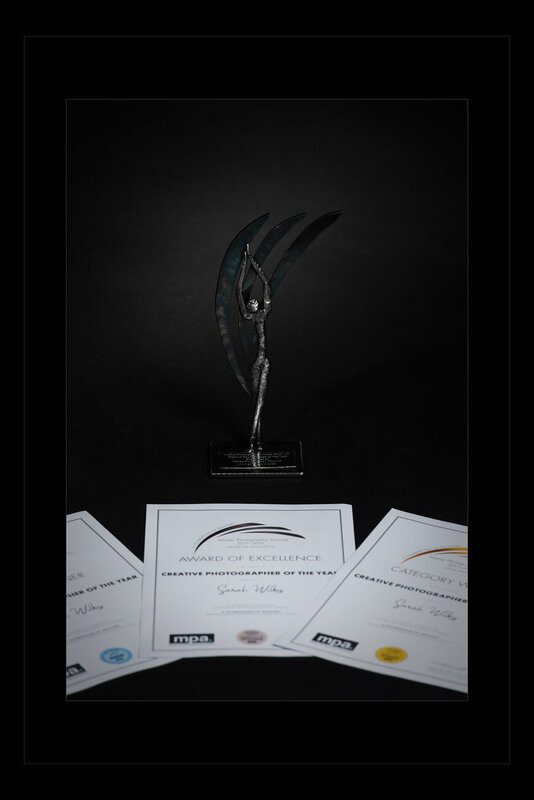 These annual award ceremonies celebrate the creme-de-la-creme of the photographic industry and are an honour to attend. Think of it as the Oscars for photographers, and you will get the idea. What a night it was set to be! Having submitted my images I wasn't sure how they would fair overall. Especially knowing the talent I was up against and seeing the quality of the rest of images entered. But as they say, it's not the winning but the taking part that counts. Besides, I don't need much of an excuse to get all glammed up, and network with a host of amazingly talented photographers from across the UK, as well as overseas. Sitting there, applauding my peers as awards were being handed out for some inspiring imagery, in various different categories. Imagine my shock and amazement when I suddenly heard my name called out as 'The Creative Photographer of the Year'! Gobsmacked doesn't begin to tell you. As you my readers weren't able to be there, here is a collection of photos of me collecting my award for Creative Photographer of the Year, along with the winning image. My amazing other half and myself at the awards. Thank you to my partner and fellow photographer Dade who always believes in me, supports, encourages and pushes me to be the best I can be. 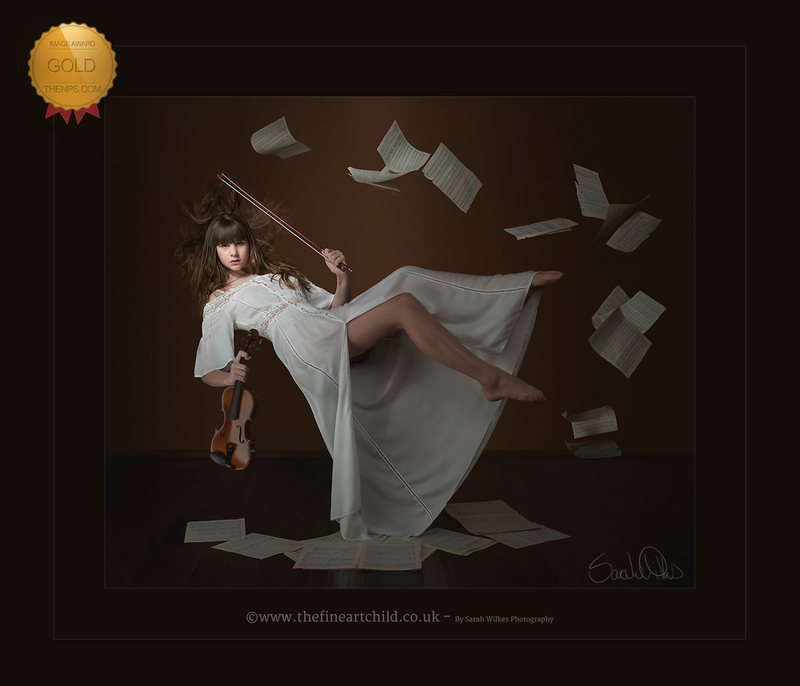 If you would like to chat about booking a Fine Art shoot for your child please do not hesitate to use the contact form on here and we can arrange to meet at my studio to talk about creating some exsquisit Art for your walls. A few months ago I photographed the wonderful Izzie in my studio! She was amazing and we had such a laugh! I wanted to share just a few from our session. We had a blast. It is so fabulous to photograph these beautiful children and freeze time so in years to come you can look back at these fond memories! I also love creating them the whole package and finally ending in exquisite Wall Art that will hang proudly in your home for years to come! If you would like to book a Fine Art shoot please contact me so i can create something specil for your family. So pleased to have been awarded A GOLD and a Silver with the Independent Professional Photographers, A GOLD and a Highly Commended with The National Photographic Society and two Bronze with The Guild of Professional Photographers for these images this month. The Guild of Photographers put on an awards evening this Saturday just gone (7th February) to celebrate everyone’s achievements throughout 2015. I was lucky to be nominated for image of the Year, but I was completely amazed when I won it for my Fine Art image in the Child Genre and then when I didn’t expect any more my name was called out again. I WON the big one Photographer of the Year in the Newborn Category!!! It’s really not an easy award to achieve, I was runner up last year so I was overwhelmed and honoured to have achieved it this year over so many talented photographers. * Newborn & Baby Photographer of the Year. Very proud to have come home to this email!!! On behalf of the Guild of Photographers I am delighted to advise you that as a result of your consistently high standard entries into the Image of the Month Competition for the second year running you have reached the criteria for the 'Photographer's Bar - and furthermore you have done so in two genres'! You may be interested to know that less than 100 photographers have achieved membership of the Bar in the 3 years since its inception which shows how difficult it is to achieve. To have done so twice is a rare achievement! Below is a press release for your use ... please feel free to tweak it and either use it now or following receipt of your Award. Once again, please accept our congratulations and we look forward to seeing you at the Awards Night! For the second year in succession, local photographer Sarah Wilkes has met the criteria to be a member of the 'Photographers Bar'. Membership of the 'Photographers Bar' is a unique distinction awarded to those photographers who have successfully had images assessed by the Guild of Photographers over the course of a year and have attained a score that evidences an exceptional level of professional skill and consistency throughout that a full year. The Guild of Photographers is a highly respected association for all photographers and it's competition attracts up to 1000 images for judging by an an expert Panel of Judges each month. Points are given to entries and these are then totalled at the end of the year. Those who reach the required threshold are then awarded membership of the 'Photographers Bar'. That membership of the 'Photographers Bar' is a distinction that is very difficult to achieve - in fact less than 100 photographers have achieved it in the 3 years since its inception, during which time over 30,000 images will have been entered for assessment by photographers across the UK and from overseas. Guild Director Lesley Thirsk said "I am delighted for Sarah as this is a great achievement! Submitting and having images assessed every month for a year and reaching the required standards to become a member of the Photographers Bar is very very demanding. It illustrates her commitment, skill and consistency. She should be very proud of what she has achieved!" Happy New Year everyone!! I am very excited that I can now bring to you Child Fine Art. Do you want something different that you can hang on your wall? Something with a WOW that not only will mean so much because it has the most precious thing in it........ YOUR child, but something that will be a talking point and envy of all your friends! For older Children why not get a shoot for their birthday and make them feel so special! Can you imagine their smile every-time they see themselves look amazing up on the wall! 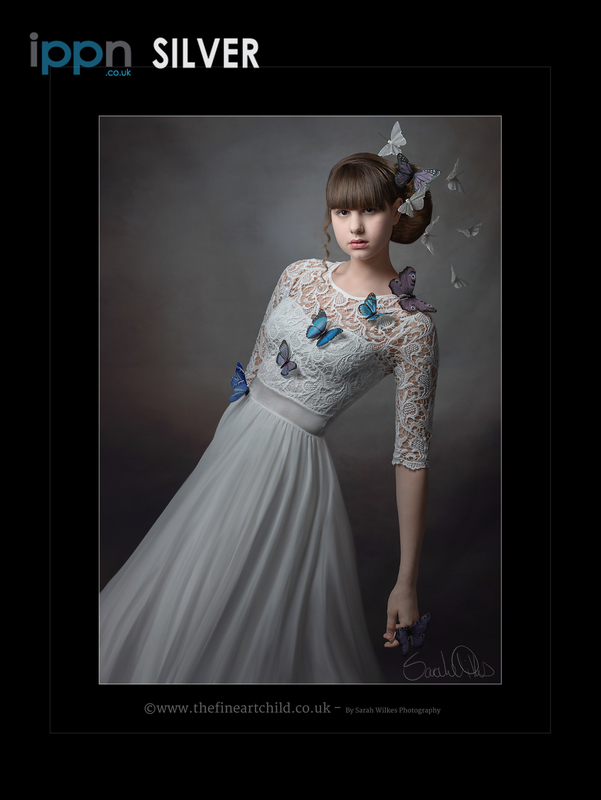 Local Photographer Sarah Wilkes Achieves National Acclaim! Well my 1st blog on my newly launched website and i am so excited to announce this press release i just received from The Guild of Professional Photographers! Sarah Wilkes, a photographer based in Lambley Nottingham has reached the Final of the fiercely contested Guild of Photographers Image of the Year Competition. During the course of 2015, the competition attracted nearly 10,000 entries in 4 categories, and this week the Guild’s Judges have selected just 10 images in the various genres from the very best of the monthly entries, to go forward to the annual Final. Name ‘s image is one of those images! 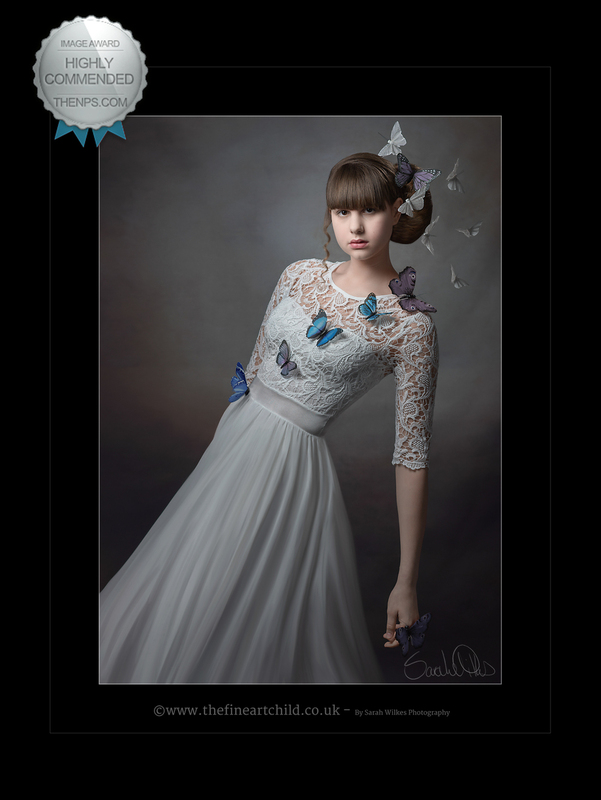 Sarah's image along with the others will now be printed ready for the Competition Final later in January, and the overall winner will be announced at a lavish Awards night in a magnificent Jacobean mansion in Cheshire on 6th February.